Every Hydroflo is fitted with a silence tube for exceptionally quiet after flush filling. 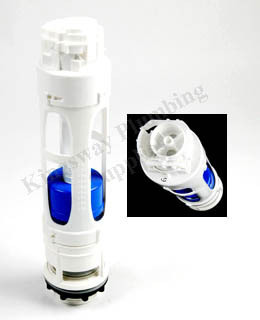 A useful key is attached to the divertor allowing quick and simple removal of the filter without any risk of damage. The unique float stem is securely retained by the float arm, making it impossible for the float to become detached once installed. The float height can be simply adjusted whilst the float arm ratchet enables very precise final water level adjustments to be made. 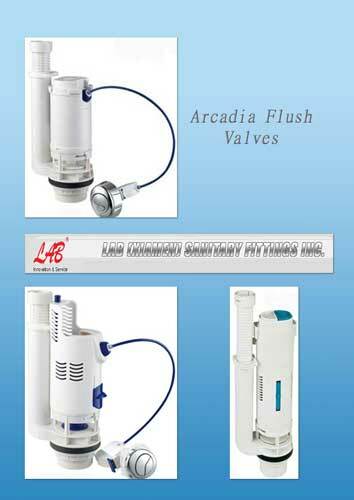 With health and safety in mind, Hydroflo valves boast two built in backflow prevention devices. An air break above the silence tube and a special membrane inside the head of the valve stop bacteria that may be present in the cistern from entering and contaminating the mains supply. This telescopic bottom inlet version extends from 203mm (8") – 292mm (11½ ") to fit most cisterns, providing an extremely convenient solution. When tightened, the locking nut clamps firmly to the valve stem for secure height adjustment. The new delay fill option saves water by only allowing a cistern to refill once flushing is complete. This supports water-saving initiatives such as the Code for Sustainable Homes and BREEAM.